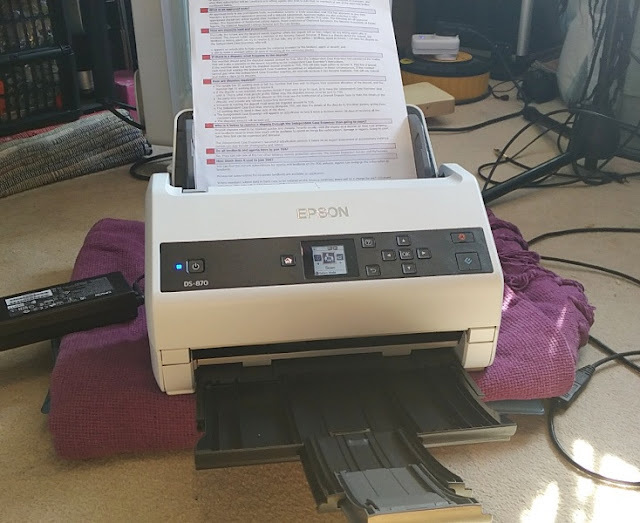 The built-in scanner in an all-in-one printer is good enough for the odd scanning jobs here and there but when you need high-volume, high quality document scanning, you want a dedicated and compact sheetfed scanner like the Epson WorkForce DS-870 which weighs just 3.5 kilograms and measures 30cm long, 17cm high and 17cm deep. 600 dpi document scanners like the WorkForce DS-870 are the type used in home/office environments such as law firms and accounting firms for converting paper documents into digital files and double-sided scanning large numbers of invoices. The WorkForce DS-870 sheetfed scanner uses white led light and a flatbed scanner contact image sensor to scan 600 DPI horizontally and 600 DPI vertically with a maxim output resolution of 1200 DPI. 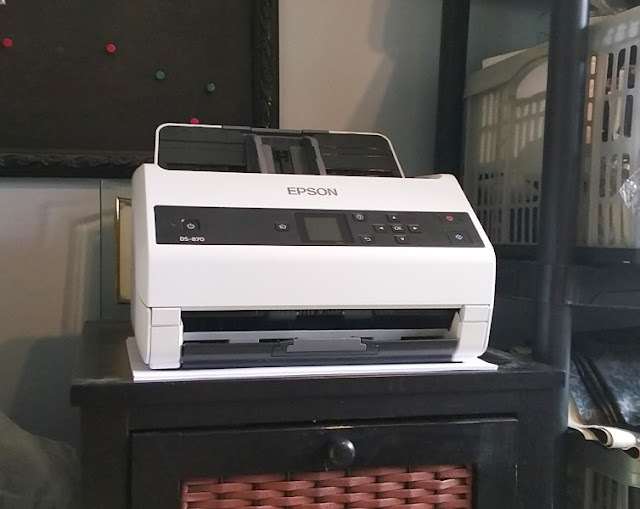 Along with high optical resolution comes 24-bit color bit depth, making the WorkForce DS-870 scanner ideal also for photographers and graphics designers looking to scan photos in professional quality and digitize sketches. 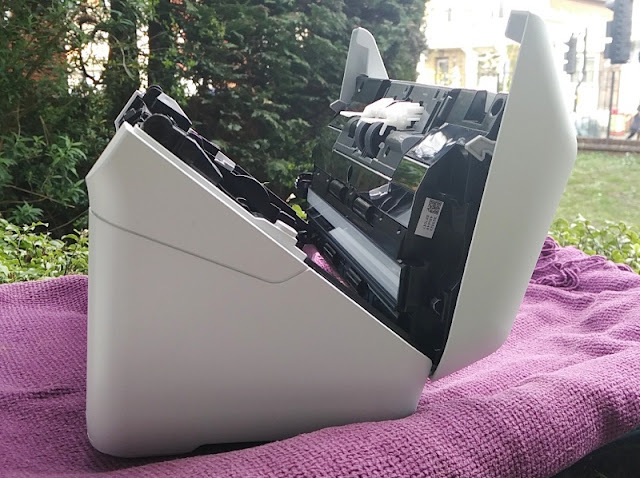 The Epson WorkForce DS-870 features the same automatic document feeder (ADF) found in the FastFoto FF680-W scanner but instead of 35 pages, the DS-870 scanner can process automatically up to 100 pieces of paper, feeding them one by one into the scanner. The WorkForce DS-870 is able to handle different thickness of paper too from 27gsm to 413gsm, as well as long paper (up to 609.6cm). 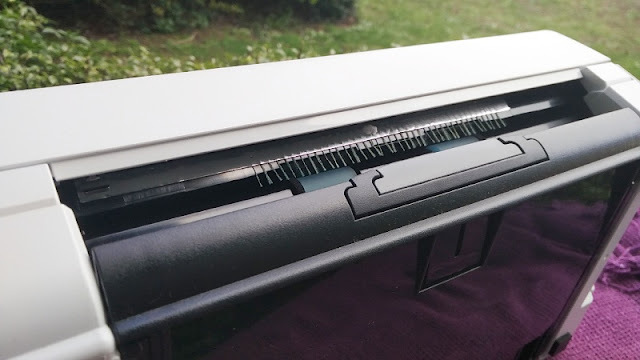 Being able to do long paper scanning is one of the advantages of the WorkForce DS-870 sheetfed scanner versus a flatbed glass scanner like the Expression Home XP-422 all-in-one which is limited to one piece of paper at a time. With the WorkForce DS-870, you can scan long paper documents such as ECG paper reports, car sale agreements (vehicle bills of sale) and legal sized documents (8.5 inches wide and 14 inches long). 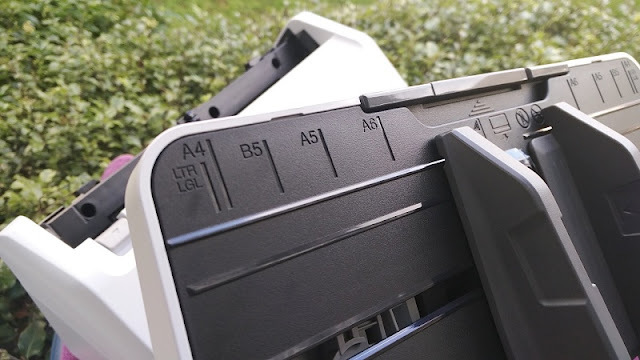 As long as it's A4 wide paper, the WorkForce DS-870 can handle any paper format. For anything wider like A3 paper size (11 inches wide and 17 inches long) you will need a larger scanner. 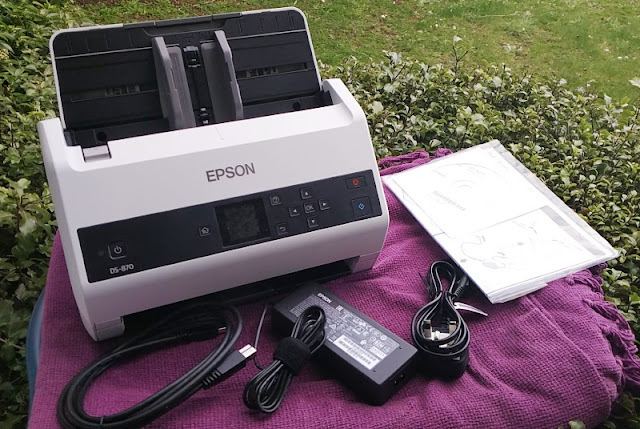 Epson does offer a way to attach the WorkForce DS-870 to an Epson DS-50000 A3 scanner via a flatbed scanner dock which is neat but considering the price difference it may workout more cost effective getting a DS-50000 A3 scanner in the first place. 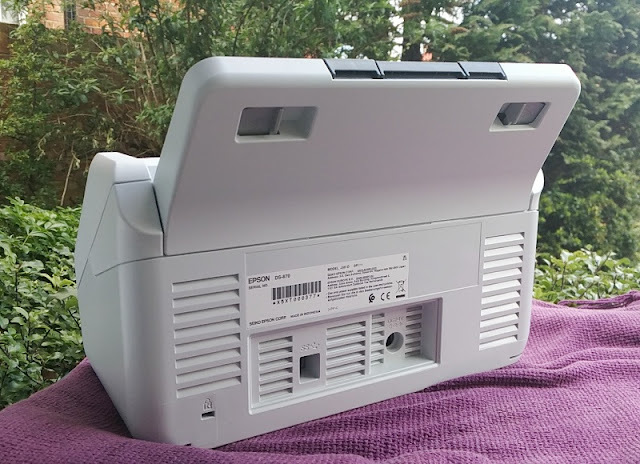 There is also the possibility to turn the Epson WorkForce DS-870 into a network scanner for multiple users but this also requires another add-on, the Epson Interface unit which is not included. 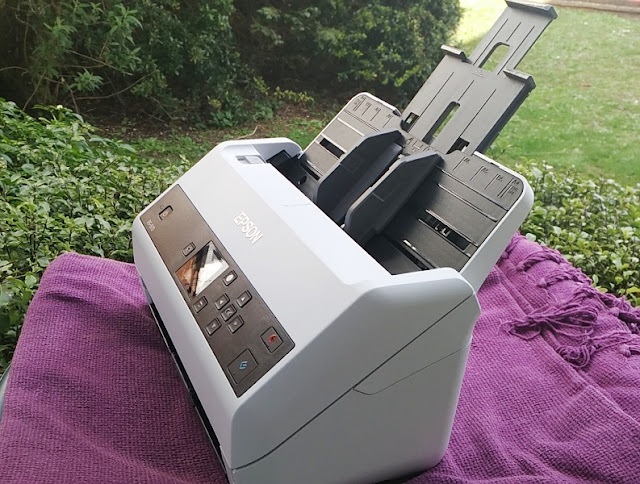 In terms of performance, you can set the WorkForce DS-870 scanner to scan from fast to slow which reduces the speed of the rollers so you can scan fragile documents such as manuscripts, crinkled paper and medical records. 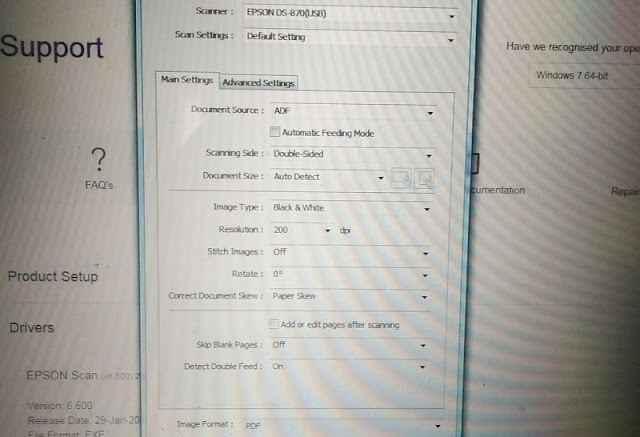 You can also scan envelopes and laminated cards without getting a "double feed error" thanks to the built-in Double Feed Detection Skip (DFDS) function which can be set from the scanner menu settings. 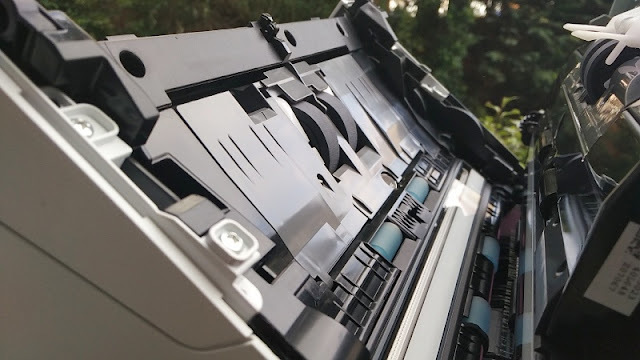 Speaking of double feed, the WorkForce DS-870 scanner has a roller separation system and ultrasonic sensor that prevents feeding multiple sheets of paper at one time (aka double feeding). 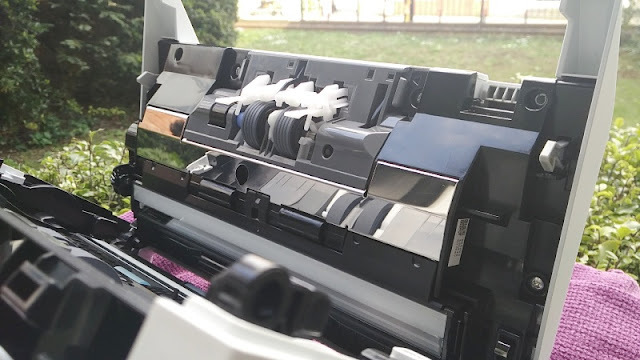 With 130ipm scanning speed, the WorkForce DS-870 is capable of scanning 65 pages per minute (ppm) in monochrome A4 size and 65 ppm color A4 size using 200 dpi resolution and 300 dpi resolution respectively. Upping the dpi to 600 dpi decreases the WorkForce DS-870 scanning speed to approximately 33 ppm which doesn't sound like much until you understand the Reliability Daily Duty Cycle (RDDC) rating of a scanner which essentially tells you whether the scanner is built for continuous operation (high volume scanning). 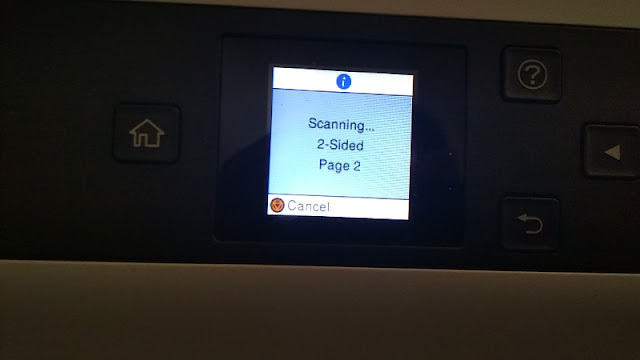 Some scanners are able to scan 90 pages per minute but are low volume scanners because they can only handle 800 pages per day. 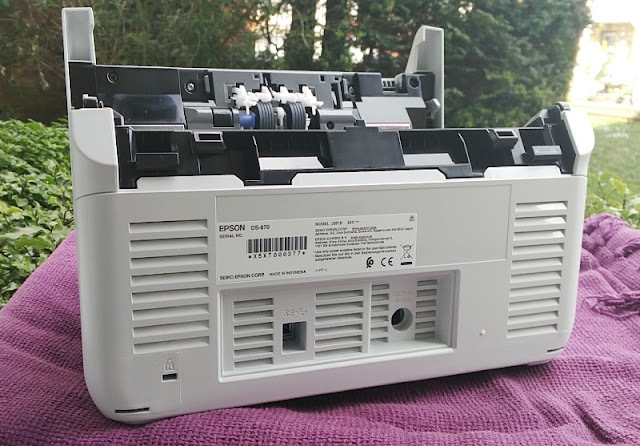 The Epson WorkForce DS-870, in the other hand, can handle 7,000 pages per day so you can put the scanner through its paces without worrying whether the internal components will hold up. 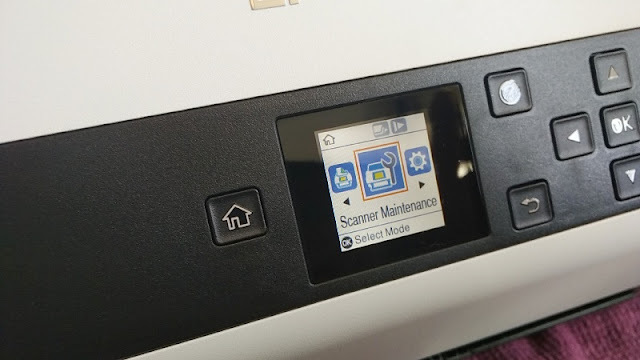 IPv6 support is another neat feature found in printers that is also beneficial to scanners because it allows you to scan from a different network the scanner is connected to. 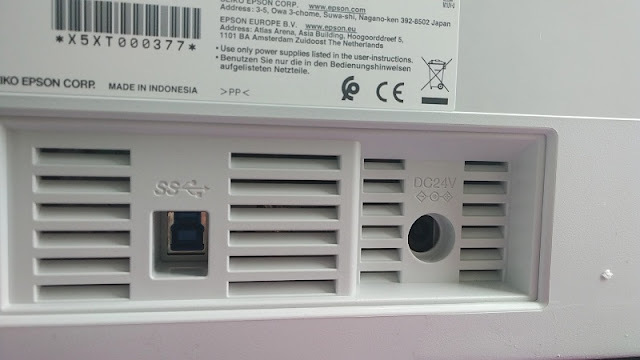 As long as your laptop/computer is connected to an IPv6 network, you can scan remotely scan while the WorkForce DS-870 is connected to a different network. There is a 3-inch by 3-inch long color lcd display on the Epson WorkForce DS-870 to help you select and navigate through the scanner settings without having to use the desktop application. 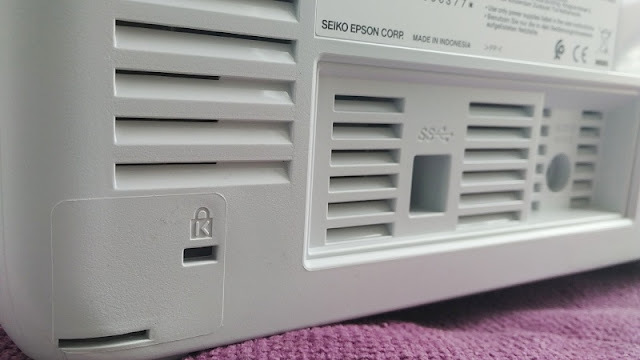 While the lcd display is not touch screen like on the DS-78N model you can still lock the control panel with a password via the included Document Capture Suite software. 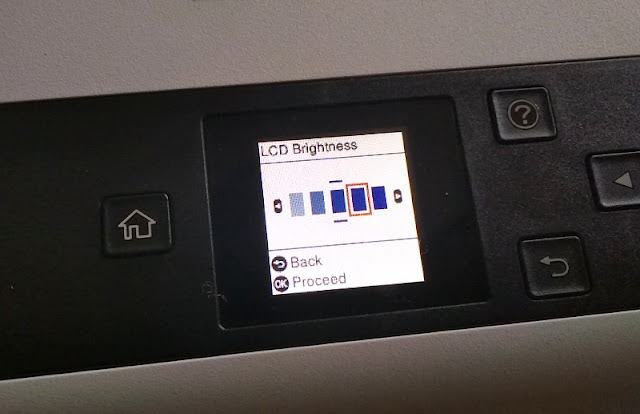 Control panel lock is a very useful feature on a scanner to prevent anyone from tampering with the scanner settings. Energy usage is very reasonable. 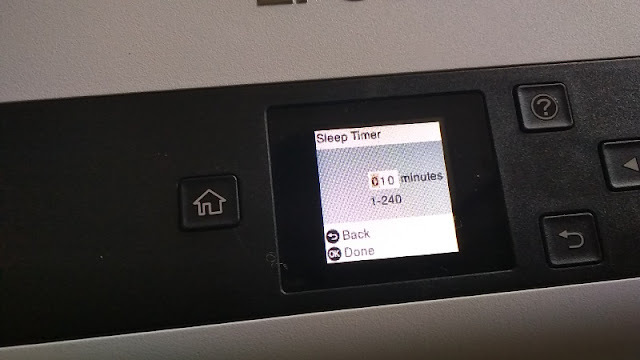 While scanning, the WorkForce DS-870 scanner consumes only 30 Watts of power and 10 Watts on ready mode (1.5 Watts on sleep mode and 0.1 Watts while powered off). 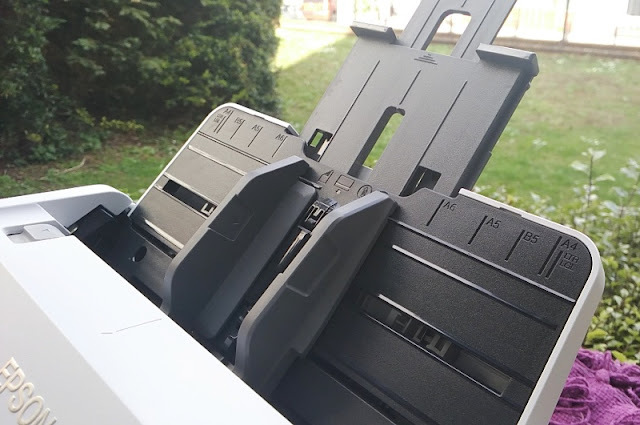 On the back of the WorkForce DS-870, there is a kensington lock, a 24V DC input, a USB Type B port, cooling vents, and two bracket slits for the flatbed scanner dock attachment. Compatibility-wise, the WorkForce DS-870 features high speed USB 3.0 fast data transfer so the WorkForce DS-870 scanner can communicate with a range of scanner drivers. 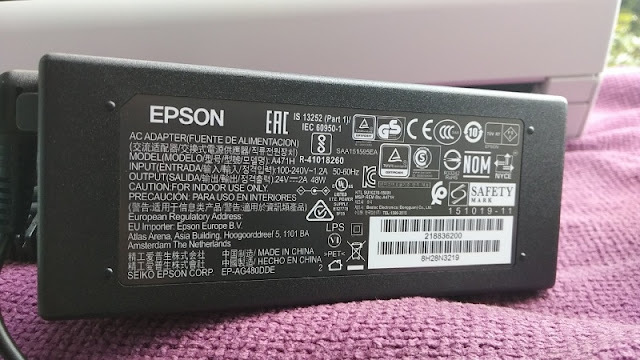 Epson includes the standard scanner drivers, namely TWAIN driver, SANE (Scanner Access Now Easy), Microsoft WIA (Windows Image Acquisition) driver and Pixel Translations ISIS (Image and Scanner Interface Specification) driver. TWAIN driver is compatible with both Windows, Mac OS, Linux/Unix and can scan directly into a a graphics editor application such as PhotoShop. SANE and WIA are compatible only with Linux Windows respectably. 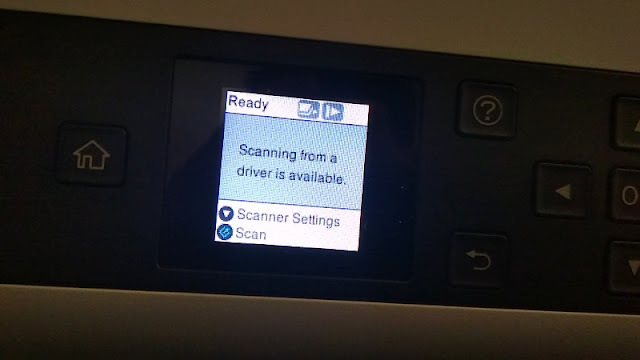 For basic scanning, WIA driver offers good support but if you want more different scanning options and wider operating system compatibility you want to use the TWAIN driver. SANE is open source so you can customize the scan graphical user interface (GUI). 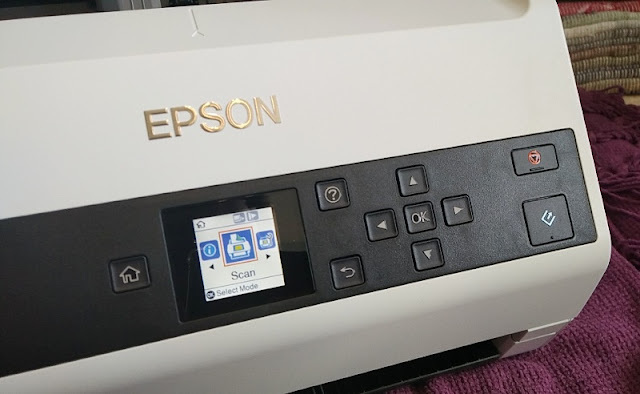 The Epson software CD also includes photo enhancement (Epson Scan 2.0) and document management (Document Capture Pro) so you can manipulate images, organize documents, manage scan jobs and change scan settings (i.e. single/double sided, document size, image format (Bitmap, JPEG, PNG, TIFF, Multi-TIFF, PDF), rotation and resolution. The Document Capture Pro application has a dedicated scan to PDF button but you can also create scan job buttons that you can start from the software or from the WorkForce DS-870 scanner control panel. If you've used and created a print job before, scan job creation works exactly the same way letting you customize scan jobs. 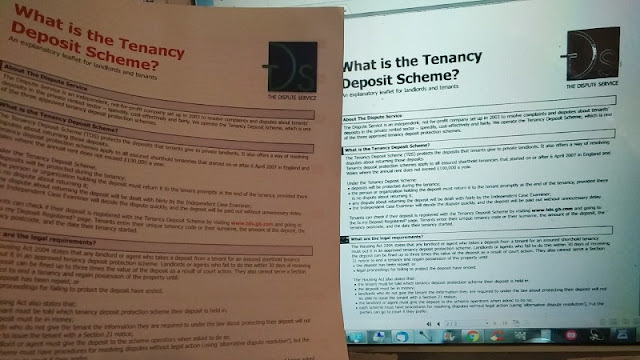 Scans are automatically saved in the documents folder of your computer but you can scan and send scanned pages to a different folder in your computer, email, FTP servers, an Epson printer and cloud services such as GoogleDrive. When a scan is complete the Capture Pro software automatically creates file names but you can customize file names by barcode character, OCR character or a file name of your choosing. You can also append date/time stamps, add page counters, and change file type. 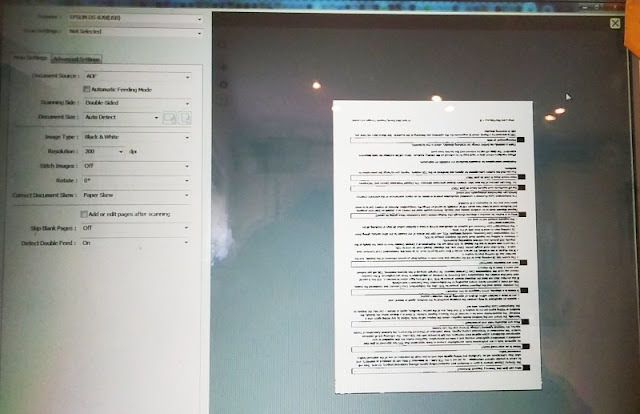 When selecting PDF there are more options you can choose that let you create searchable PDF's using OCR. 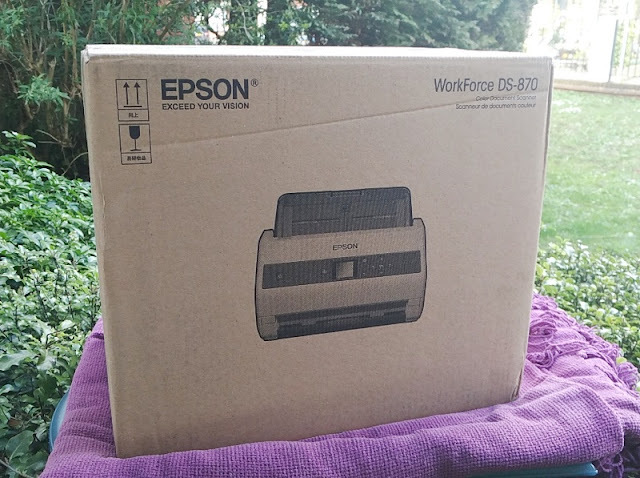 The Epson WorkForce DS-870 is compatible with Mac OS (10.6 and higher), Windows 10, Windows 7, Windows 8, Windows 8.1, Windows Server 2003, Windows Server 2008 (32/64bit versions), Windows Server 2012 R2, Windows Vista and Windows XP SP3. 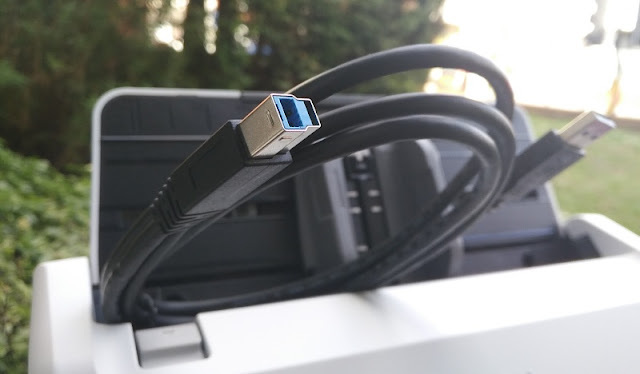 Included in the WorkForce DS-870 are an AC adapter (24V/2A = 48W) power supply, Epson CD software, UK 3 Pin to IEC C7 Figure 8 power cable, setup guide, a USB A to USB Type B cable and warranty card. 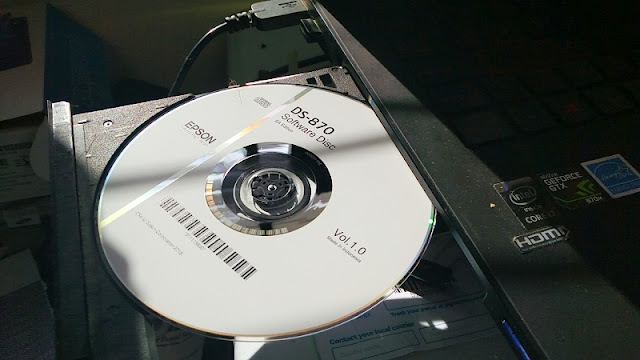 If you don't want to use the included CD you can always download Epson software from their website. 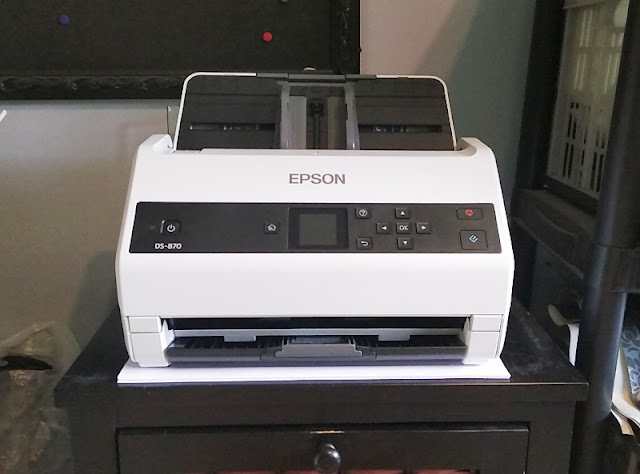 The Epson WorkForce DS-870 is a really solid device. 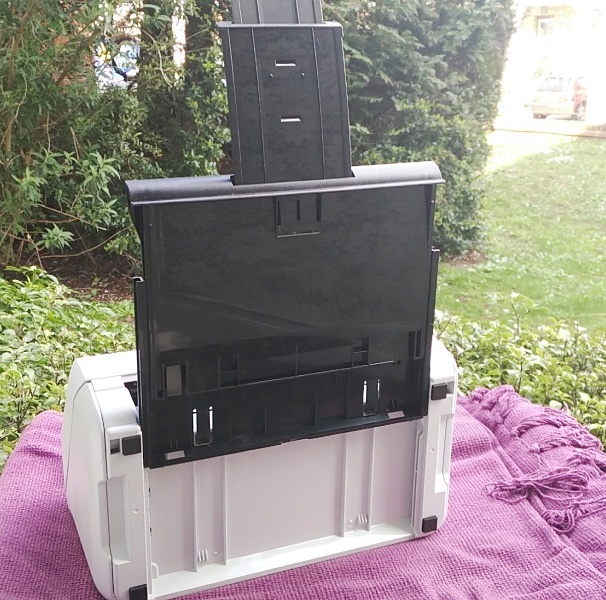 Features like quick paper jam removal and user replaceable parts for a longer lifetime make the WorkForce DS-870 a dream scanner to have although its high price tag may make it a tough buy for the average home user. 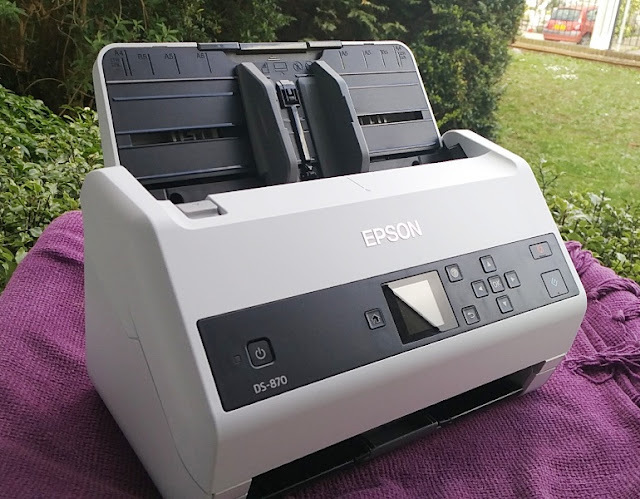 With that said, anyone looking to cut down time and energy converting a lot of physical documents into digital form will reap the benefits of owning a scanner machine like the Epson WorkForce DS-870.